nce again the HND and BA (Hons) Graphic Design students of K College (University of Kent) have done themselves proud by putting together yet another great show. The show was well received by those in industry as well as the general public. 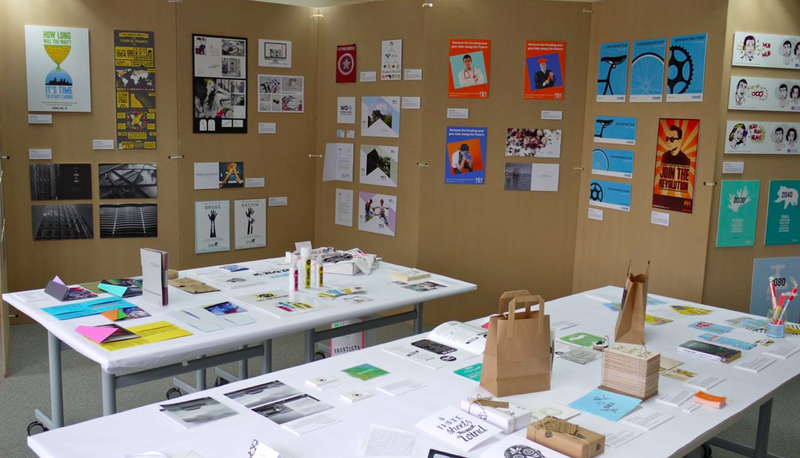 Students were being approached by industry representatives, and positions look to be gained from the work on show. Well done to all those who worked so hard throughout their courses and for your help in spending time piecing the show together. There have been some excellent grades awarded this year including a number of 1st class degrees. Some of the show pieces can be seen here on our Pinterest page. Last year’s work can be seen here. 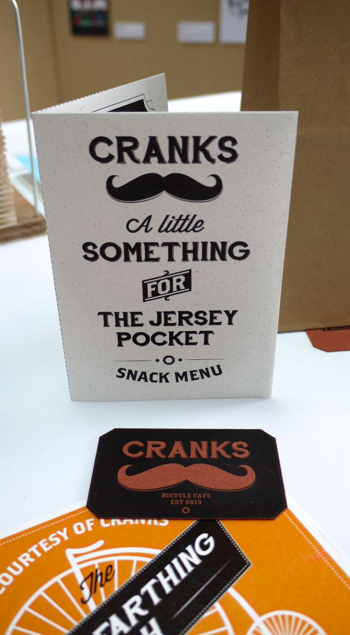 Miles Baker Clarke’s branding for ‘Cranks’, a quirky cycling themed café. 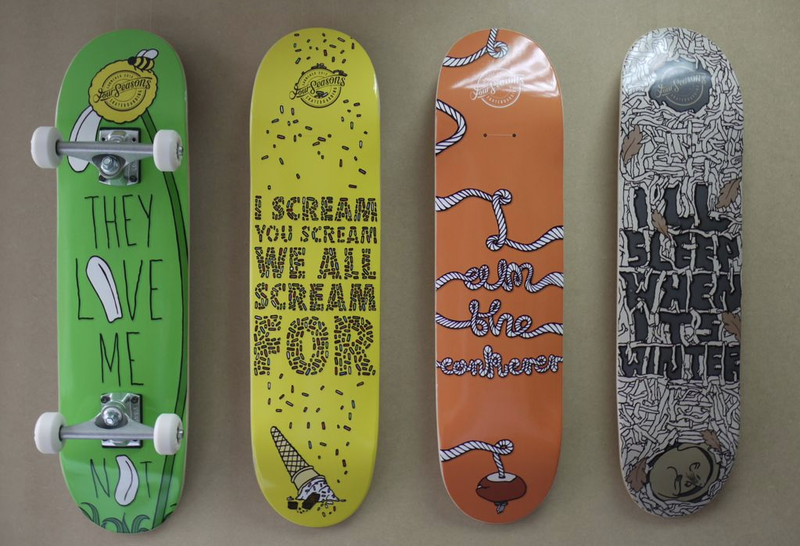 James Sales’ skateboard designs for his ‘Four Seasons’ range.